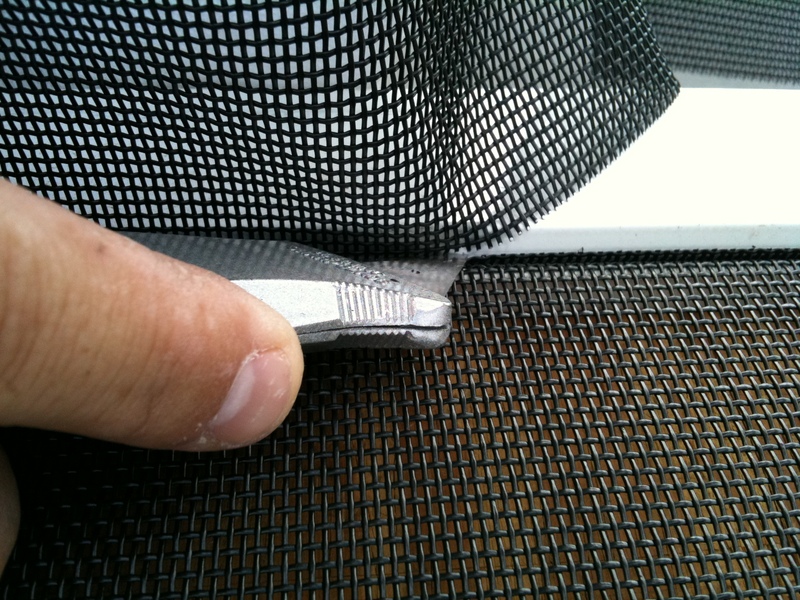 Today we did a screen repair job where all the clients window screen frames were in very good shape except the fiberglass screen mesh material. 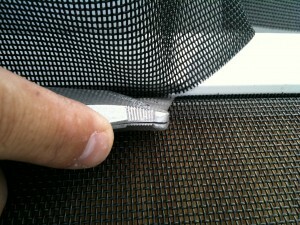 The insect screen mesh was old and turned brittle and began to rip and fall to pieces. 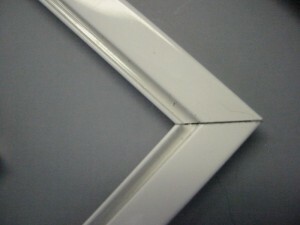 If frame sare in good condition then we can rescreen them and you will save on some money. When we take the old mesh of the frames we make sure the frames are as straight a possible for being old, then we rescreen them with new mesh and put two tabs per screen for easy installation and taking them out. 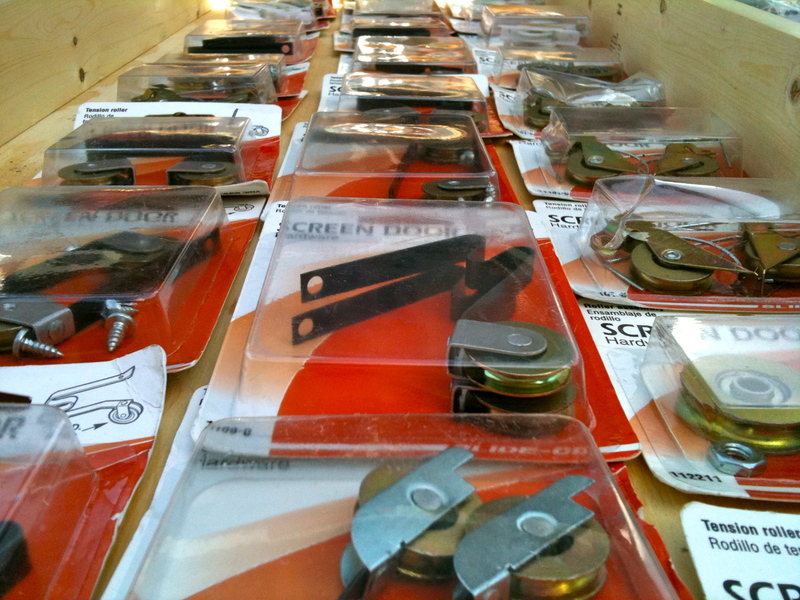 Additionally we carry all the spline sizes for the best and tightest fit possible. 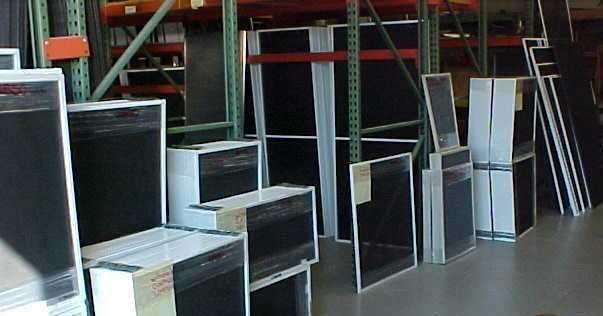 Once we finish you won’t even notice the frames are old, they will all look like new. 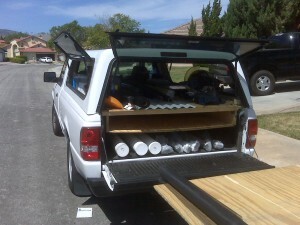 We work in many areas but Thousand oaks is our center area and it seems that we work her the most. 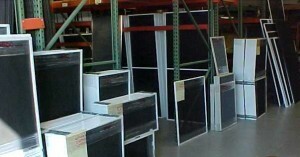 All rescreen window jobs a are done onsite with only the highest quality materials. When we are doing a rescreening job we always check to see if the frames are in goog enough shape to use them again. 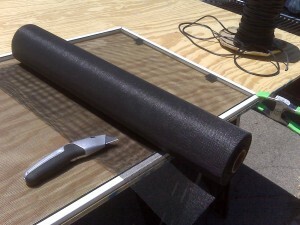 If the screen frames are cracked the we would have to measure and make a frame on the spot. We have different colors to match existing color and always use new spline and new tabs. give us a call to get a free estimate today. It seems that a lot of the older windows are just not holding up anymore, after all some windows out there are over 40 years old. 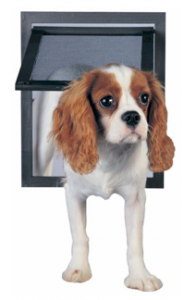 Today we have vinyl windows that are energy efficient and reduce the noise. One of the problems with the new vinyl windows is the plastic corners on the window screen frames, they just aren’t strong enough and they don’t last. On the other hand with the older aluminum windows most of the screen have good metal corners but are just to old to re-screen, so changing the frame on these screens is a must. 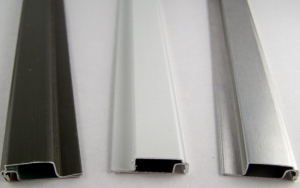 New screen frames come in different colors to choose from so what we recommend is that you choose a color that matches you window encasement color for a better match or the color of your old screen frame so they look the same. New screens make your windows look years younger or better, actually the only thing you see in a window if the window screen mesh is old is the old screen. It doesn’t matter if the windows are new or old when a screen mesh is old it turns gray and brittle and blocks your view making it easy to see. 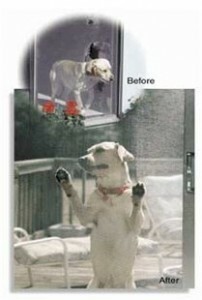 When a screen is new you should not see it, thats how clear you want you screen to be, unnoticeable. 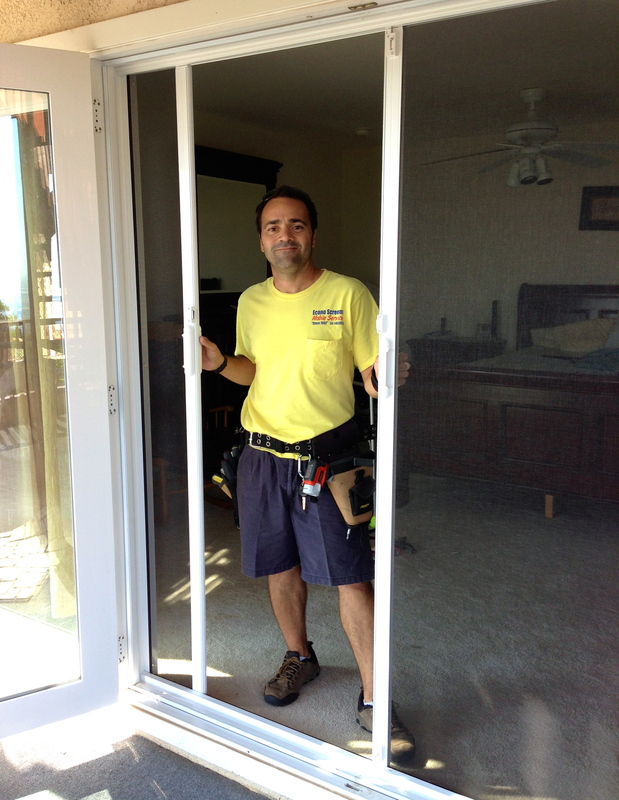 Do your windows really need to be replaced? 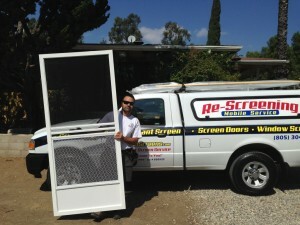 Window and door screens don’t last forever, you do have to rescreen your windows and doors at least every 8 to 10 years. Waiting more than this just means your screens are old. When a screen is new the mesh is clear and you cant tell the screens there and it wont have any glare from the sun that will be noticeable from the inside of the house. 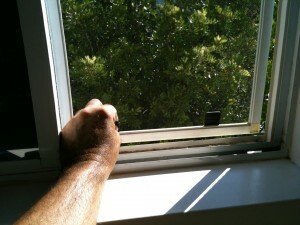 If you live in areas where it rains a lot and have wood windows it could be a problem. If you have wood window that need some work with the molding water will come in and this could just do more damage to the wood. 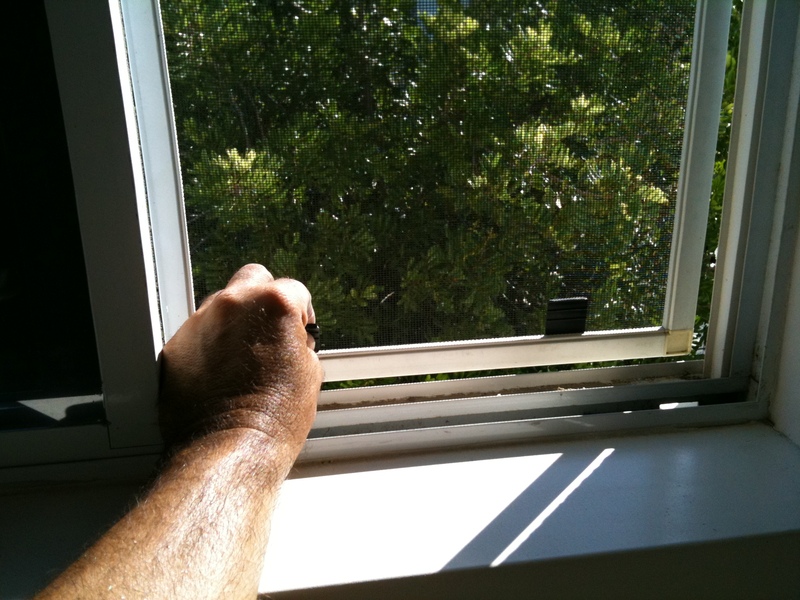 Most older wood window encasements are off square and usually have problems holdings screens. We get a lot of call for us to replace leaky window screen for the purpose of just stopping the water from coming in but even a tighter fitting screen frame will not stop water from coming in through the bottom window ledge. 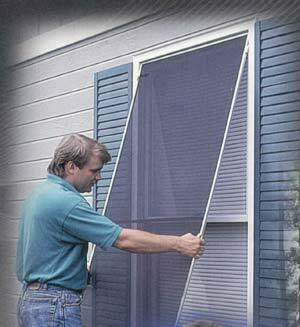 Wood windows require a lot more maintenance than the regular vinyl and aluminum windows we are all used to seeing. The wood windows are probably the most stylish of all even if they are not that eco friendly. Wood widows are not very energy efficient and like I mentioned before they are a bit high maintenance, but how much more the a more modern window? The truth to that question is that we will know in about 50 years because vinyl windows have not even been around as long as wood windows have, some vinyl windows have already been replaced twice in half that time. Vinyl windows are very nice and give the home a face lift if that is what you are looking for, to some the older window look is just fine. 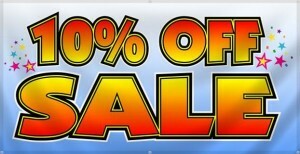 The colors seem to be getting better with time, you have ( white ) to choose from. Now they have gotten better you can actually get, tan vinyl windows, brown vinyl windows and black vinyl windows and you won’t have to replace leaky window screen on any of them because the come with nice fitting window screen already on them, the only problem with that is that the windows screen come with little plastic corners that have a short life cycle. Aluminum window encasements have been around just about as long as the wood windows and have proven the they stand up well to mother nature, the only downfall aluminum window encasements have is they are not energy efficient at all, another is the rollers on the aluminum windows gave out before the windows did. 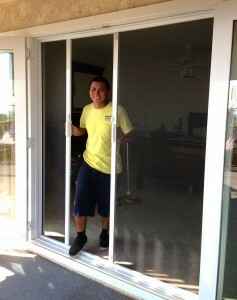 Screen on these windows fit very well and come in and out without any struggle at all. Some vinyl windows are better saving energy. 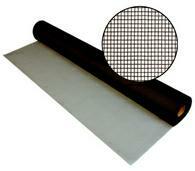 vinyl windows a better for noise reduction. 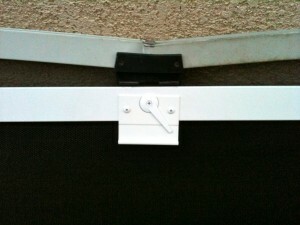 vinyl window have screens that are close to impossible to take out. 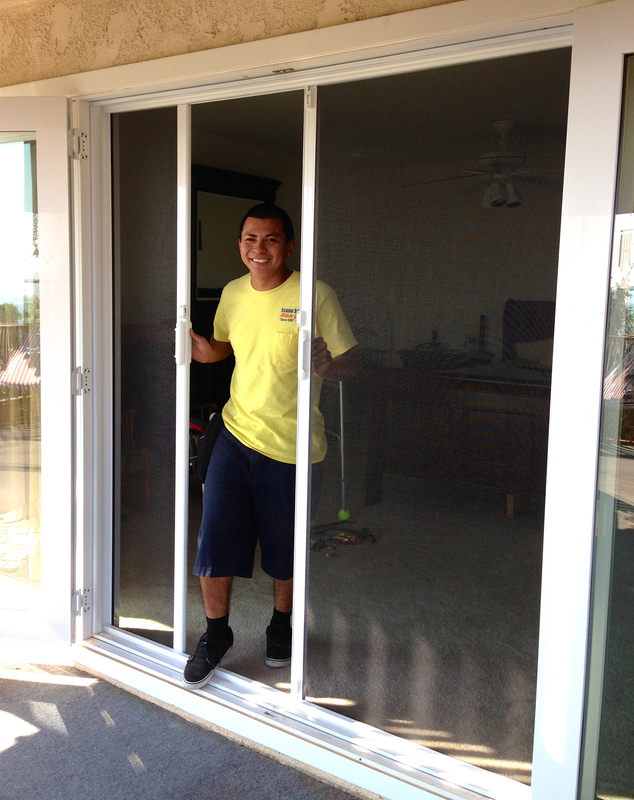 vinyl encasements sliding screen doors have very little play room and this is a problem for sliding doors to slide right. Aluminum windows have been around for a long time and will probably be around for ever. Aluminum windows are not energy efficient and do not reduce noise. 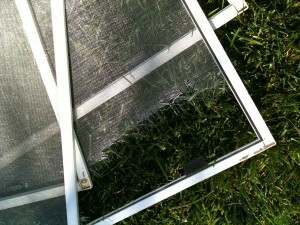 Wood windows are the most stylish but need lots of maintenance and you will probably have to replace leaky window screen. 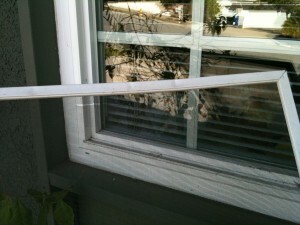 Wood window encasements when new are very expensive compared to some new vinyl windows out there. There is no right window or wrong window, it’s all choice and budget. 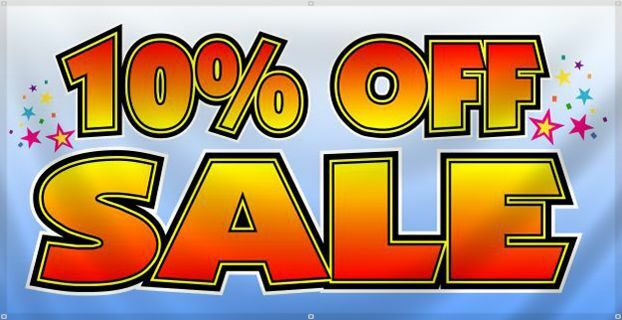 The most important things to look out for is that the windows you are buying come from a company you feel comfortable with and that the come with a good guarantee. 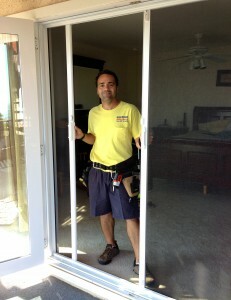 Windows have to feel right, make sure they are not to heavy when opening and closing, some window manufactures make window and sliding glass doors so heavy some customers can’t even open them. They need to function right, the lock latched on the sliding glass door and windows need to work right and make sure that you can personally take the window screens and the sliding screen doors out yourself before buying them, if not you will constantly be ordering new screens for them.